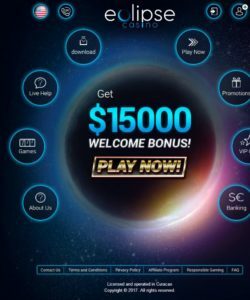 It can be challenging to get a secure platform to place your bet while playing different games. This is because not all websites are legit, fair and reliable. 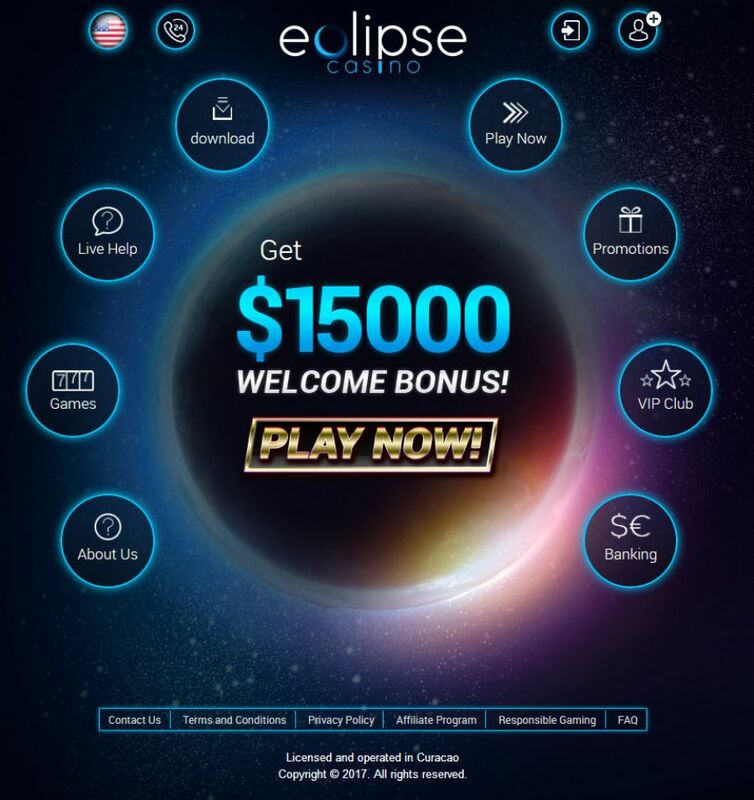 Let use explore eclipse casino to determine if it is worth considering. Read on! The Blue media N.V established Eclipse Casino in 2017. It works with a popular software provider known as Rival. This ensures that you get different games such as video slots like Wild safari slot, Bowled over slot and Panda party slot. You can also select progressive slots such as Strike Gold slot, One million reels, and major moolah slot. Eclipse casino also features table games like diverse poker variants, baccarat, and blackjack. If you love video poker, you will enjoy games such as five card poker, Joker Poker, and three card poker. A lot of players spend hours on scratch card games and the famous Sodoku. The software developers ensure that you can play your games from a mobile device or a large screen. The mobile option may not have all the games, but it has adequate slot games for you to enjoy on the move. There is also a downloadable version which offers diverse games. Fairness is a concern to many players, and Eclipse casino ensures fair play by using the random number generator system. This warrants random results without being biased on some players. One of the impressive features of the casino is the ability to make big wins through bonuses and tournaments. Some of them come with some wagering requirements that you should meet before receiving your funds. The payment options available in eclipse casino include Visa, MasterCard, Neteller, Skrill, wire transfer and Paysafecard. You may incur some withdrawal fees when using alternatives such as bank transfers, wire transfers, debit or credit cards. It is unfortunate that the withdrawal charges can exceed the minimum deposit. Though the casino offers different payment options, it has low limits when it comes to making withdrawals. You may also have to wait to receive your payment for up to 10 working days. Take note that being inactive for more than three months can lead to the forfeiture of funds. They also attend to their customer’s concerns by offering live chat and email services to facilitate communication. For instant feedback, call the phone contacts available on the website to talk to an agent directly. Most users report that the customer service representatives are friendly and knowledgeable providing enough information regarding the conditions to get bonuses. Eclipse casino also holds a license from Curacao eGaming. Eclipse casino may provide various games on instant play mode, but it comes with some flaws. Most users complain about late payments, and the company should work on processing payments fast to please customers. We also find the wagering requirements a bit complicated and the cashouts limits low. The fact that they offer their services in both French and English is impressive.